Toddlers seem to take to sensory toys very well and the bonus part for the caretakers is they are very engaging and the kids are able to learn from the experience, too. They really seem to get a kick out of being able to create sounds, feel different textures on their hands and fingers, and being able to stimulate their sensory system in so many different ways. Sensory toys are also needed as aids for children with sensory processing disorders. Often children that have been diagnosed with a form of autism really benefit from these types of toys. They are not only entertaining for them, but they provide a type of therapy for them. We have picked the Best Sensory Toys for Toddlers that are available and provided details on each of the items. 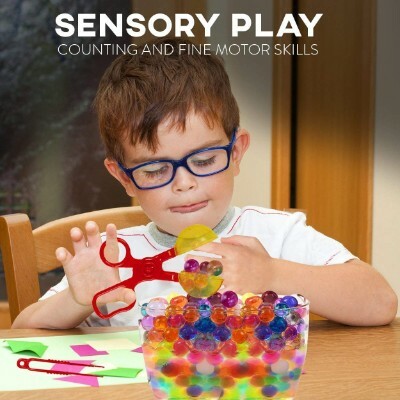 This list was recently updated to include the best sensory toys, with the best ratings and reviews. In addition, all product information--specifications, targeted age ranges, cost and availability--has all been reviewed and verified as accurate. Winner of several toy awards, the Winkel is an ingenious marvel for infants and toddlers. It is quite durable and long-lasting, plus lightweight and the perfect size for babies to clutch and hold. 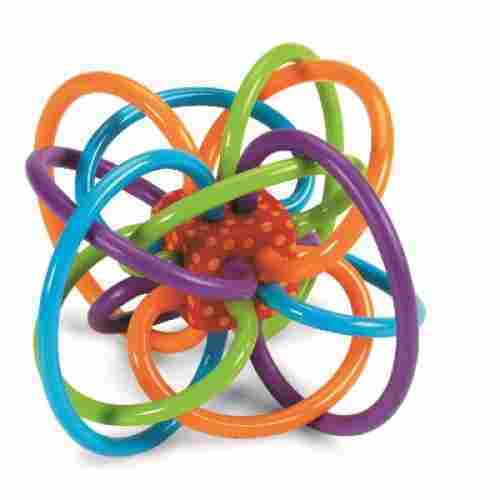 Newborns to two-years-olds will be delighted with this fantastic colorful, bright toy. The multi-colored loops are free of PVC and BPA, and they toy can be refrigerated to soothe the gums of teething babies. This item cannot, however, be submerged in water to clean it, so it must be hand-wiped only. The inner cube has a rattle with a soothing sound that will not irritate parents. Toddlers and infants will be charmed by this beautiful toy that they can shake, twist, throw, and chew for hours of fun. It is the perfect size for little hands to hold and manipulate easily. The Winkel makes a fabulous travel toy too. Besides learning the basic colors, toddlers can develop two-handed play, clutching, fine and gross motor skills, and hand-eye coordination with this simple, brilliant toy. This toy is great for babies who aren’t fully mobile yet, as well as toddlers who have just started to walk. 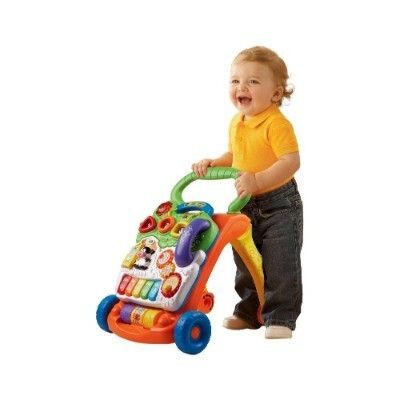 The Sit-to-Stand Learning Walker by Vtech has two modes of play: music and learning. they can use the many learning activities that have been built-in into the Sit-to-Stand to help enhance their sensory skills. They can use the 5-key piano to create wonderful tunes. Each interactive button on these cheap sensory toys by VTech can play a host of sensorial information like fun phrases, songs to sing along to, sound effects, and light effects. There are also spinners or rollers that will sure to fascinate toddlers as they attempt to make sense of the seemingly perpetual motion elicited by these features. There are also shape sorters that can help encourage mastery of different forms or shapes as well as various colors. It has a make-believe play telephone handset which can help provide the experience of talking with their friends. Some parents may even consider the Sit-to-Stand as toys for autistic toddlers because of the sheer number of learning activities that it can provide to help the developing brain. With the Sit-to-Stand Learning Walker they can now perform a lot of exploration in their immediate surroundings providing them a sturdy and reliable platform to hold on to especially if their leg muscles are not yet that fully stable. Music has long term developmental benefits for babies and toddlers, it improves social behaviors, communicative gestures and helps to express emotion. The learning mode allows small kids to learn basic skills such as animal sounds, numbers and colors. 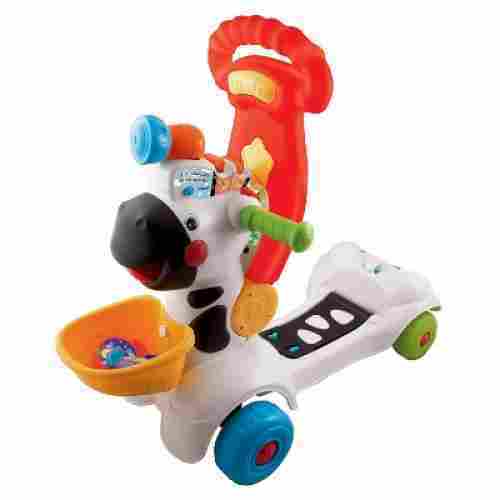 With it’s vibrant colors and a variety of activities, this learning walker is sure to capture your kid’s attention and encourage them to learn as they play. Although the First 100 Words Board Book is not a toy, it is nonetheless a very useful instrument in the enhancement of toddlers’ sensory skills. Each page comes with beautiful real-life illustrations or pictures with their corresponding names printed in high contrast fonts. There are themes every two pages. For example, you have two pages of words that pertain to the “outside” or are considered to be related to “bath”. There are 100 colorful pictures and 100 very simply words to learn. The board book itself is made of only the highest quality sturdy board. 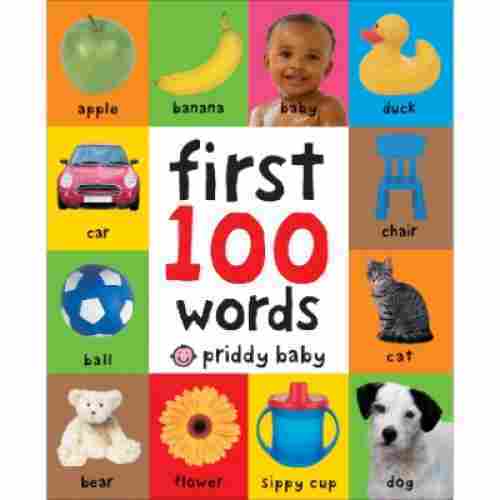 The cover, however, has an added layer of soft cushiony material so your kid will feel a lot more comfortable holding the First 100 Words in his or her hands and will not injure them if accidentally dropped. Additionally, the soft texture of the cover plus the hard surfaces of the pages can provide an excellent contrast on textures, perfect for honing his or her tactile skills. This book is a must have for kids as it teaches basic everyday vocabulary and helps to develop language skills. It’s vibrant colors and exciting illustrations are sure to stimulate your kid’s mind. 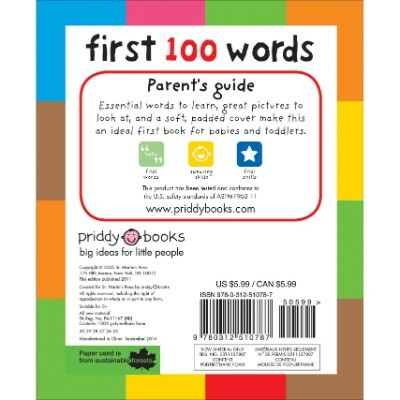 First 100 Words by Roger Priddy is excellent for pairing words to pictures and vice versa. This book is so inviting that kid’s can enjoy it alone or with someone reading to them. For the fact that it’s durably made, the pages will not easily rip from frequently use. 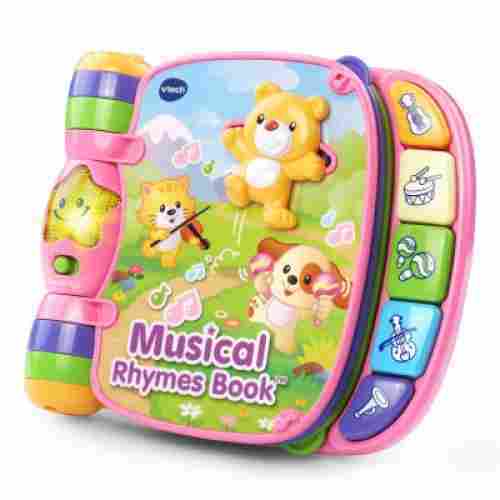 If you’re on the lookout for really high quality yet affordable sensory toys that are guaranteed to provide your kid with the right cerebral stimulation, then get the Musical Rhymes Book. 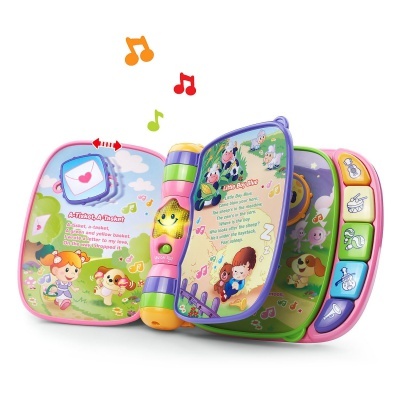 This VTech musical baby toy comes with brightly-colored and highly interactive pages that are very easy to flip or turn. With each turn of the page, your kid will be treated to a listening experience of 6 classical, very lovable nursery rhymes. Aside from the nursery rhymes, there are also more than 40 fun and education phrases, beautiful children’s sons and melodies, and the sounds of everyday things and events. There are 5 tabs on the outer edge of the Musical Rhymes. Each tab plays a melody of different musical instruments such as a guitar, drums, maracas, violin, and trumpet. On the rib of the Musical Rhymes is a big star with a smiling face that lights up when the Musical Rhymes is powered on. The control switch, which turns on and off the book or changes it into either learning or music mod, is located just below the big smiling star. With so many activities, Musical Rhymes Books have also been given as toys for autistic toddlers. There are no small parts included in this toy, thus you will not have to worry about your toddler choking on anything. Music is one of the best ways to stimulate your kid’s sensory as it helps with early language skills and introduces kids to patterns. Your kid will love listening classic nursery rhymes as they improve their motor skills by exploring this fun book. With this Musical Rhymes Book by Vtech, kid can learn and listen to piano sounds as they explore and play the colorful piano sounds. This book is perfect for small kids as the pages are easy to turn and each page provides fun, sensory stimulating activities. 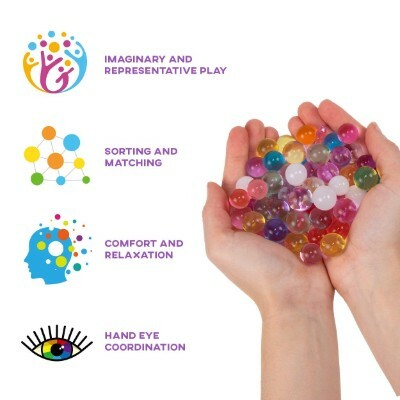 Sort, match, touch, and dump these sensory water beads are the best feeling things since bubbles. All of the colors of the beads are bright and encourage children to engage in playing with them. The idea of the water beads is to create a toy that combines touch, sight, and sound to create an environment that is great for the sensory system. 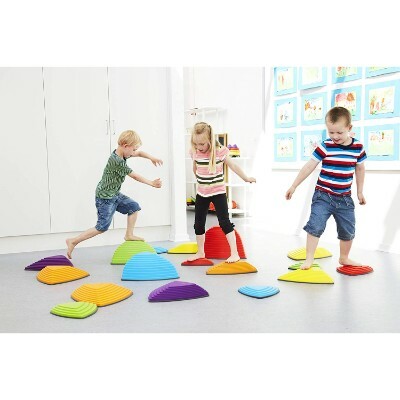 They are great for integrating into early childhood developmental activities. The soft texture of the beads plus the slippery feel gives toddlers a sense of relaxation when playing with them. It is great for a calming exercise. They can focus on the feel of the beads in their hands, between their fingers, and watch as they fall down into the bin. The kit comes with eight ounces of beads which is about 20,000 small beads. When you receive the beads place a small amount in a bowl or bin add water and let sit overnight. You will be truly amazed when you wake up in the morning. On the plus side, they are reusable. Just dump them out and let them dry out, place back in the bag for next time. These are a great tool for sensory development and will last forever. They have been created out of non-toxic materials that are safe for children and are environmentally friendly. 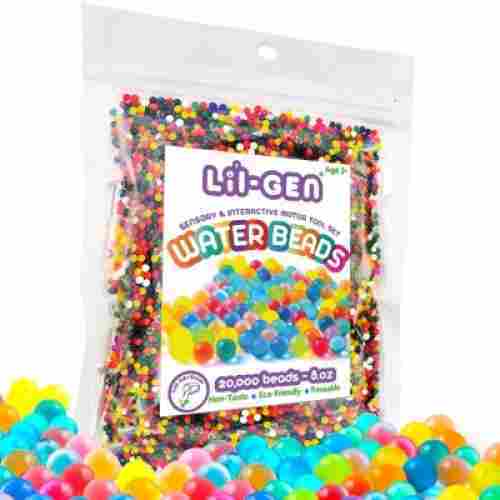 Not only are the water beads create for calming and relaxing toddlers but they also provided a wonderful way to encourage their fine motor skill development. Whether just reaching in and playing with the water beads with their hands and fingers to using scoops and spoons. The beads are a great tool for aiding in their development. Have you ever thought that walking across your yard could be a little less boring? How about adding a whole new dimension of challenge to changing the volume on the TV on the other side of the room? If you are looking for a fun way to build your balance skills through play, check out the Gonge Riverstones. 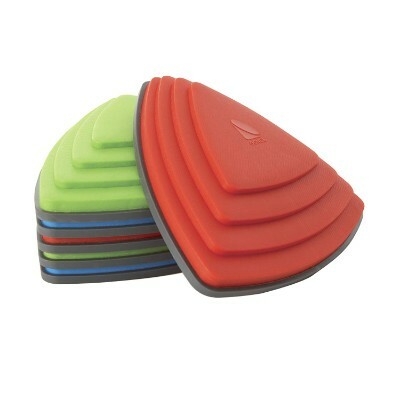 These brightly colored "rocks" come in an assortment of shapes and sizes. Each stone is made of hard and durable plastic and features a variety of different height and steepness options. The underside of each stone is hollow allowing them to stack together for easy storage between use. Each stone is individually moveable which gives you a plethora of arrangement and design options to choose from. Specifically helpful for toddlers or children with special needs, these stones can make a fantastic addition to any indoor or outdoor play area! Non-slip rubber grips dot the bottom of the stones to prevent slipping when placing on laminate floors or other smooth surfaces and will not damage surfaces. Balancing on these stones may be more difficult then it first appears as the angle and standing surface varies from stone to stone. Many play options can utilize these stones and support a variety of physical development from overall coordination to building positive associations with exercise. Put them close together and try to jump from one stone to next to practice balancing and build leg strength. Line the stones up from largest to smallest or by color to introduce size and shape recognition and sequencing. Use them as seats in a circle for storytime, the possibilities are endless! 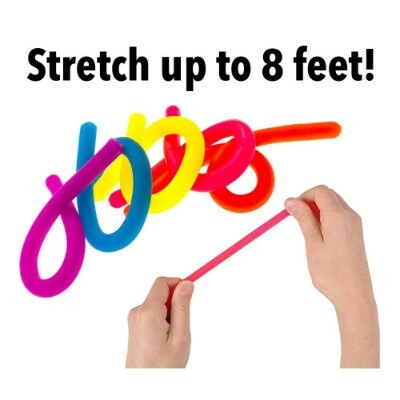 Perfect for the stretch, wonderful for the pull, and wrapping it around is just fun. 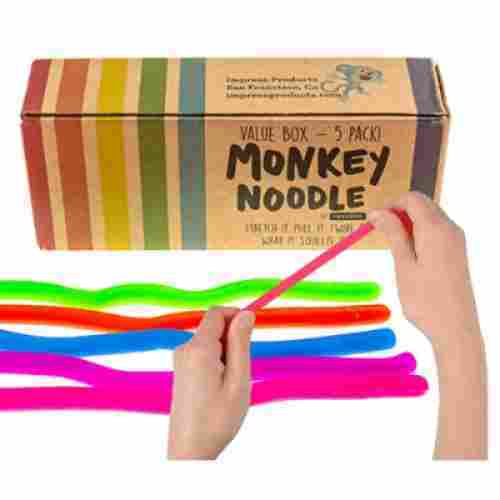 These monkey noodles are a perfect fidget and tactile tool used to create a sensory stimulation. They can be twisted, pulled, twirled, or squeezed than they just snap right back to their original shape. Every pack comes with 5 monkey noodles in it. The colors will vary in each pack. When noodles come out of the package they are 12 inches long and then stretch up to 8 feet long. Each of the noodles has been created from a high quality customized material that is nontoxic, hypoallergenic, and free of any BPA, latex, or phthalates. They are constructed to be durable and safe for anyone in the family. They help create a sense of calmness, relieve stress, help attention spans, and redirect focus. They are best suited for children over the age of three years old. 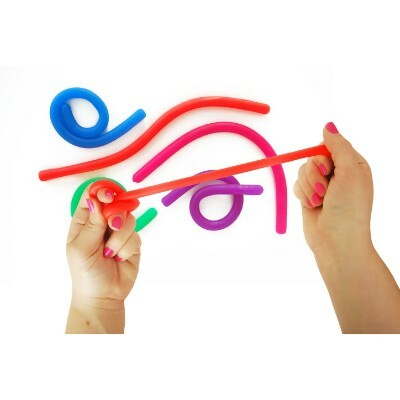 Each sensory noodles will reduce and relieve stress while calming anyone that plays with them. What if you could have a ball that talks, sings, and even teaches your kid about certain things in his or her world, would you be interested? 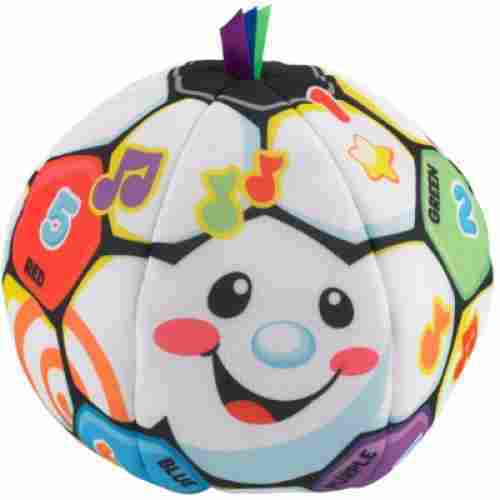 The Singin Soccer Ball features 3 interactive modes of play including, music, learning, and imagination. Rolling, shaking, or pressing the Singin Soccer ball activates the different learning activities. 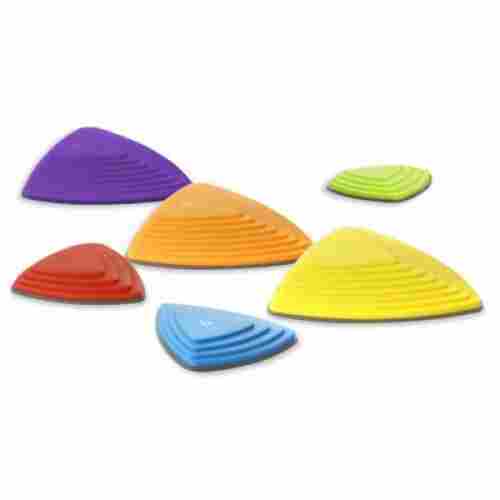 The ball’s surface comes with different color patterns, shapes, and textures providing a sensory experience that can never be found in other cheap sensory toys. It’s very soft, so that babies and toddlers can safely play with it and of thrown, it won’t injure others. 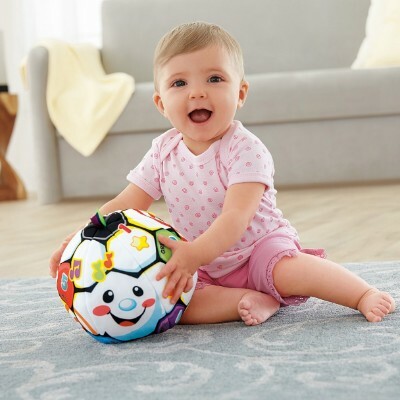 This joyful ball by Fisher-Price is easy for kids to use for the fact that all it takes to make the ball sing is to press it, shake it or roll it. 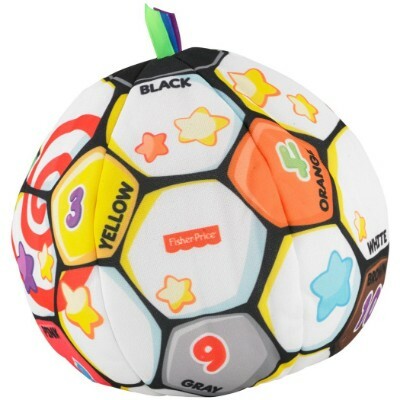 Kids are sure to laugh and learn, just as the name of the ball implies, as they learn about opposites, colors, numbers and more with this ball. 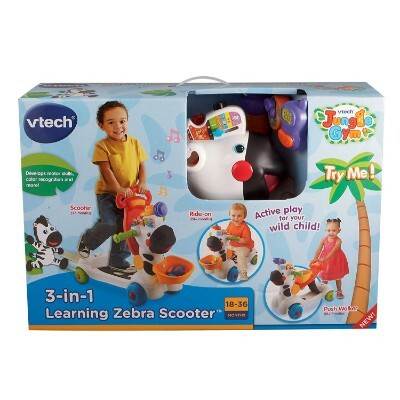 The 3-in-1 Learning Zebra Scooter is not one of those cheap sensory toys that you may be looking for. But, considering the uniqueness of its features, we’d say it’s provides more value than other toys of this type. 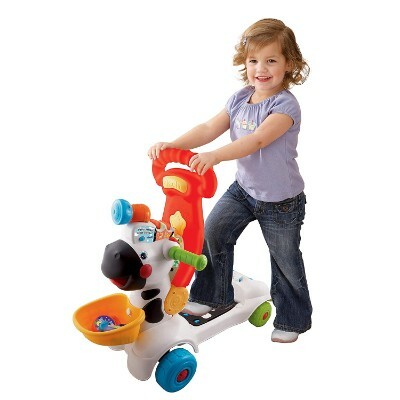 The Zebra Scooter is a mobile learning center that serves as a walker, a push toy, and a ride-on toy, depending on the developmental age of the child using it. It plays a little less than 100 child-friendly music, lovable children’s songs, and hummable melodies and tunes. It can also elicit beautiful sounds of nature as well as educational phrases to help in your child’s communication. Riding the Learning Zebra is made stable by its large and wide wheels mated to a wide wheelbase. The scooter deck is also made of solid plastic construction providing stability and strength. Skills developed with the Zebra Scooter are motor abilities, hand-eye coordination, cognitive talents, language and verbal abilities, listening proficiencies, and finger dexterity. The sensation of driving their own car is something that is priceless for many kids, although it’s just make-believe. The mere fact that it can help facilitate their imagination makes the Turn and Learn Driver a truly beneficial toy. 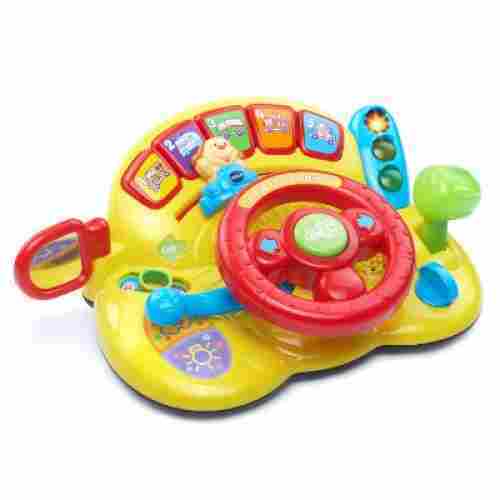 The Turn and Learn is a car dashboard for kids that comes with a steering wheel, gear shift knob, signal lever, a side mirror, and other controls that we typically see inside a car. The best thing about these features is that they are all interactive. They produce mechanical movements, fun phrases, beautiful children’s melodies, and the names of different vehicles as well as animals. Composed of plastic, this toy can easily be cleaned with a damp cloth to keep your child germ free. 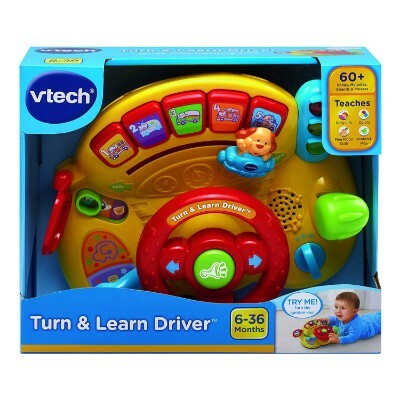 Although the Turn and Learn Driver by VTech is a toy, it’s very realistically made. This toy can be used in the house or the car as your little one mimicks you as your drive. This interactive toy includes 3 play modes for your kid to learn: driving, music and animal mode. Kids can learn a variety of things as the Turn and Learn Driver has numerous functions and sounds to for sensory stimulation. These toys are specifically for the toddler or infant that desires to work on building the abilities of the five senses, plus balance and movement. The age range is wide from newborn to approximately 5 years old. This will vary with each individual child because every child has their own learning and physical capabilities level. These toys should make kids aware of the basics, such as colors, shapes, sounds, and textures. These skills are provided at the toddler age level, and many of the products will grow with the child as he or she ages. Starting your child with these items at a younger age than is recommended is a wonderful way to get them ahead of their peers and moving quickly through the skills they will need in their early school years. Many of the items listed are backed by warranties or guarantees from the manufacturers ensuring parents of their great quality and safety for their kids. Some of them have been tested for quality, while others have won several toy awards for excellence. We choose only products that please parents for these qualities because we know you want the very best items for your child. Many of the plastic toys are BPA-, lead-, PVC-, and/or Phthalates-free to make them harmless to your children. The one wooden toy that we highlight is made from high-quality beech wood to give your child the best wood product. All of the items come fully assembled so there should be no loose screws or rough edges sticking out to harm toddlers. They have all been professionally assembled by the manufacturer. Many talents are promoted and exercised with these toys that develop the senses. We mention in the pros and benefits section what the child will gain by using each toy. 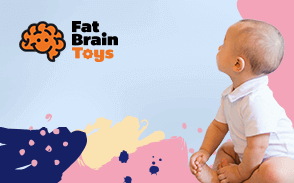 Basically, all of the toys will encourage fine- and gross motor skills, creativity, finger dexterity, cognitive abilities, hand-eye coordination, balance, movement, problem-solving, and verbal and listening skills. Each product will exercise one or a few of the senses in the least, plus give opportunities to build other mental talents. These are all also wonderful play things for autistic individuals of any age. The toys will keep their brains and hands busy with many textures, shapes, colors, and designs to intrigue and delight. Sensory information obtained from playing is ultimately sent to the brain for processing. This provides the necessary building blocks for the formation and development of ideas. Over time, these ideas form what we now call memories. So, when children play, they use these processed information to feed their imagination. When we talk about sensory development, we talk about how well children use their senses to gather information. That is why toys that are naturally colorful, in high contrast, and in different patterns can help improve our kids’ visual development. Music, melodies, and any other form of sound are important in auditory development. The different textures--smooth, rough, silky, slippery, and others--can be excellent tools for developing children’s tactile understanding. Giving them different scents or aromas as well as flavors and tastes can also help in the development of their olfactory and gustatory skills, respectively. When taken together, these sensory experiences provide the backbone for their cognitive development. This is why sensory toys are important in children’s optimum development. While there are thousands of sensory toys on the market today, they are not all the greatest or the best-accepted by parents and buyers. We have researched and chosen the finest of these items that parents loved and kids enjoyed playing with, based on their many reviews. These sensory items were overwhelming chosen because they excel in the features that parents are looking for, just like you. We also choose the toys that have the most reviews to obtain a true opinionated picture of each product. This ensures that many people before you have bought the item, reviewed it, and most of them really loved the toy. q: What are the appropriate ages for these toys? We try to list the correct ages for each toy in the summary and pros section for easy referencing when it was given by the manufacturer. Regardless of the ages suggested, it is best for parents to determine which toys best suit their child’s mental and physical activity level. Some children may be ahead or behind the recommended ages, so please know that these are just guidelines. A general age range for all of these toys would be from newborn to approximately 5 years old. q: Are any of these for traveling and away from home? For great travel or on-the-go items, we feature the 100 Words Board Book, Singin Soccer Ball, Winkel Rattle, Take Along Music Toy, Bendy Ball, Nut and Bolts, and the Peg Board Shape Puzzle. These will all keep little hands and minds busy during times of boredom and moments of inactivity. q: Which toys do not have any removable or loose pieces or parts? 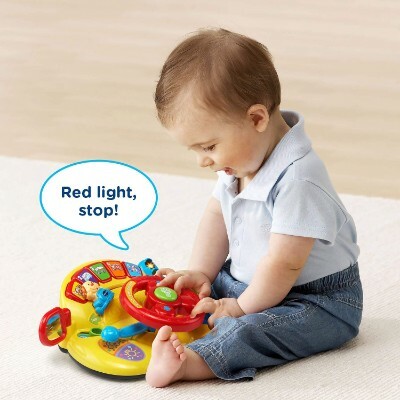 For the toys that do not have any loose pieces to keep up with or put away, try these items: Singin Soccer Ball, Winkel Rattle, Take Along Music Toy, Bendy Ball, Sit-to-Stand Walker, and the Zebra Scooter among others. These still have plenty to do on them, but without the hassle of losing pieces and kids being hurt with things they can detach. q: Are any of the sensory toys just for girls or boys? Yes, all of these sensory toys are great for kids and even adults with autism. The best ones would highly depend on the individual’s likes and dislikes because the toys are all so different from one another. If your child favors colors and shapes, then the Nuts and Bolts item, Peg Board Shape Puzzle, or the Winkel Rattle toy would be the best options. The toys that make sounds, phrases, and music are listed below if that type would excite your autistic child. q: Which toys require batteries, tools, or anything extra to put them together or operate them? All of the toys come fully assembled unless they are assembly toys, such as the Nuts and Bolts and the Peg Board Shape Puzzle, so no tools are required for any of them. 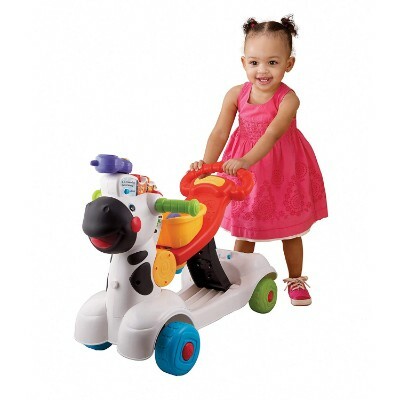 Batteries, however, are required for such toys as the Turn and Learn Driver, Zebra Scooter, and the Take Along Music Toy. Some of these do come with the needed batteries, but some of them do not. Display batteries may come with the toy, but fresh batteries will be needed for operation. q: Which sensory toys listed make noise or music? 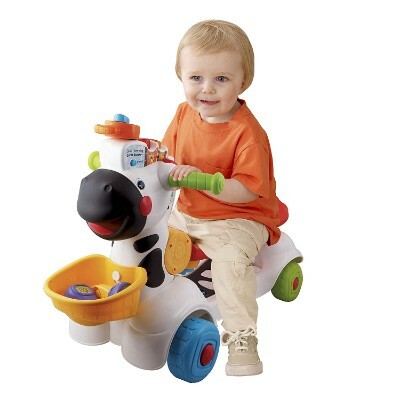 The toys that make music or sounds include the Sit-to-Stand Walker, Singin Soccer Ball, Turn and Learn Driver, Vtech Activity Cube, Winkel Rattle, and the Zebra Scooter. Some of these have up to ninety sounds and phrases for kids to repeat and learn through repetition of using the toy. q: Which items are the easiest to clean and keep clean? The items that would be easiest to keep clean and to clean are the 100 Words Board Book, Bowling Game, Bendy Ball, Garden Activity Cube, Peg Board Shape Puzzle, and the Nuts and Bolts Toy. They would all need minimal cleaning if at all, and it would be easy just to wipe most of them with a damp towel and mild soap and water.